Tech Talks, TSAE’s one-day conference for association professionals to learn technology and communication skills to improve member engagement, education, marketing and strategy, returns for its fourth year on March 30 at the TCEA Conference Center. While you might see “tech” in the title, Tech Talks is not for tech gurus. It’s for anyone working in association management, especially those from small and medium staffed organizations. 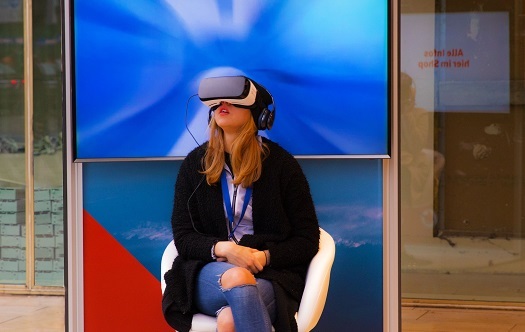 This year’s opening session, Virtual Reality Will Change Everything About Brand Experiences, will explore how virtual reality is not just a buzz term, but a whole collection of technologies that will literally change everything we do in with member experiences, events and exhibits. Wilson Tang, VP, Digital Experience, FreemanXP, will show attendees how associations can take advantage of this incredible technology in the not too distant future! The lunch session, Capitalizing on Technology & Human Behavior Shaping Our Future, discusses how with technological capabilities (mobile, chat bots, marketing automation) come a rising tide of changes in how we communicate and live. This means substantial shifts in human behavior and how organizations will operate over the coming decade. Tim Hayden, President, Co-Managing Partner, Brain+Trust Partners, will talk about trends in the age of mobility, artificial intelligence and digital media that you may leverage to sustain success and grow your association. The day also includes a Neighborhood Peer Exchange that connects attendees with other association professionals who share similar challenges and time with exhibitors who offer solutions to technology, digital, communication and database needs. Sign up by February 28 for the best rate. Discounts available for multiple registrations from the same organization.